Los Angeles Personal Injury Law Firm Lazar, Akiva & Yagoubzadeh announced today its most recent personal injury settlement in a case involving injuries to a 39 year-old-man whose foot was run over by a forklift. The firm’s client was a local vendor who was on the premises of a meat distribution warehouse near Downtown Los Angeles selling goods to the warehouse employees. While the vendor was in the courtyard of the premises, one of the warehouse employees was operating a forklift nearby inside the warehouse building. 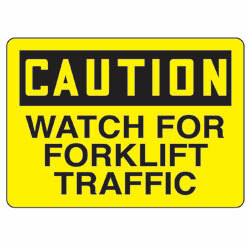 According to the complaint, suddenly, the forklift operator backed the forklift out of the warehouse and into the courtyard without checking his rear and he ran the forklift over the vendor’s left foot. The vendor was promptly rushed to Los Angeles County/USC Medical Center where he had emergency surgery on his foot. According to documents filed by the court, the company initially denied the vendor’s claims on the basis that the vendor was negligent and failed to exercise ordinary care. However, by interviewing and deposing multiple witnesses and uncovering video surveillance of the incident, Mr. Niamehr and his team pieced together a compelling case against the company. Just days before the scheduled jury trial when it became clear that the Lazar, Akiva & Yagoubzadeh legal team was not backing down from its demands and was ready for trial, defense counsel finally initiated meaningful settlement negotiations and the case settled for $550,000.00.